In 1989, as part of its efforts to curb smog in the greater Los Angeles area, the South Coast Air Quality Management District (AQMD) proposed a complete ban on the sale of charcoal lighter fluid and self-lighting charcoal. In 1990, the Environmental Protection Agency (EPA), published an environmental impact statement on the levels of Volatile Organic Compounds (VOCs) released by the evaporation and combustion of charcoal lighter fluids. VOCs are virtually any organic compound that turns to a gaseous state at room temperature. They can be anything from the smell of bacon to cancer-causing or poisonous substances. What the EPA found was that some 46,500 tons of charcoal lighter fluid were used in the United States every year, producing 14,500 tons of VOCs in the atmosphere. Photoreactive VOCs are a leading cause of nonattainment ozone, more commonly known as smog. To avoid a potential ban on charcoal lighter fluid and self-lighting charcoal, the industry agreed to reformulate these products and the new “odorless” lighter fluid became available in 1992. Since then all charcoal lighter fluid has to meet standards of AQMD Rule 1174. If you pick up a bottle of lighter fluid at the store it will clearly state that it does so. Since 1992 there has been no further regulation of lighter fluid or, in fact, any large-scale study of the pollution or health effects of its use, even though it was recommended by the EPA. What both AQMD and the EPA actually recommended wasn’t the reformulation of charcoal lighter fluid, but the use of alternative methods of lighting charcoal. From these reports, it was recommended that grillers use either, a charcoal chimney, electric charcoal starter, or solid or gel lighters. Since this time the charcoal chimney has become the starter of choice on TV shows, in barbecue cookbooks, and all across the internet. Touted as a clean, virtually pollution free alternative to charcoal lighter fluid, the charcoal chimney became the accessory of choice for those who avoided the gas grill. Weber, the most recognized name in charcoal grills, sells and advocates the chimney. Big Green Egg, like all ceramic grill makers, emphatically states never to use lighter fluid and instead recommends solid starter cubes (paraffin doused paper blocks). More than two decades of consumer education turning grillers away from lighter fluid have elapsed. How did we do? 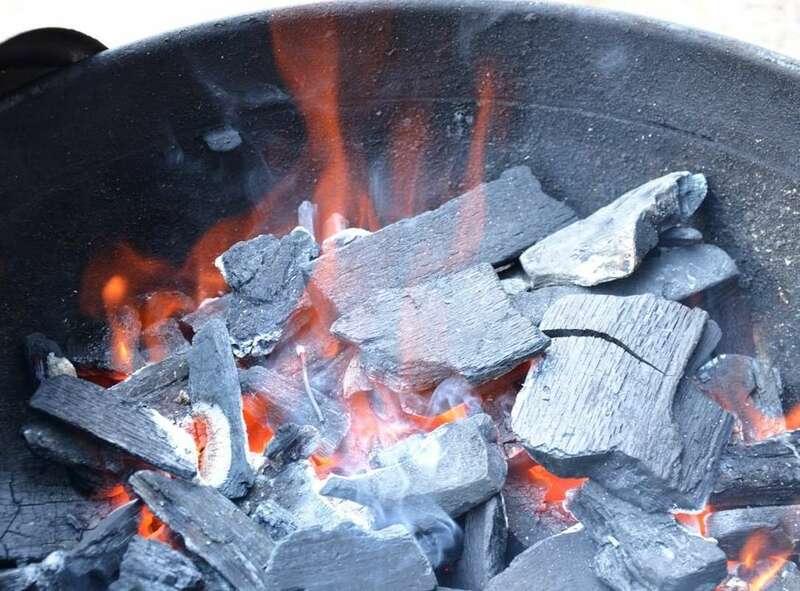 In 1988 the Barbecue Industry Association (BIA), now part of the Hearth, Patio, and Barbecue Association (HPBA), reported that nearly 70% of charcoal grills were lit with lighter fluid and that 15% of grillers chose self-lighting charcoal. Today, 50% of charcoal fires are lit with lighter fluid and 17% use self-lighting charcoal. In the past 20 years, according to HPBA, sales of self-lighting charcoal has increased 140% (standard briquettes are up only 10%), and sales of charcoal lighter fluid have actually increased. While charcoal grill sales have remained unchanged over this period of time, people are grilling more and over a longer portion of the year. Obviously, consumer education and the recommendations of almost all authorities on the subject has done little to change people’s habits, and while more people are using alternative methods to light their charcoal, the growth in popularity has not reduced the consumption of petroleum based lighter fluids. Dedication to lighter fluids is so strong that a 1990 BIA survey showed that nearly 5% of users would switch to gasoline if necessary(1). In part because of the fear of more dangerous flammable liquids used as a replacement, charcoal lighter fluid was reformulated to reduce the pollution created by its use. The final estimate of VOC emissions by AQMD before reformulation was .035 pounds per grill ignition. After reformulation, charcoal lighter fluids could emit no more than .02 pounds of pollutants per typical use. Reformulation reduced pollution created by lighter fluid by less than 45%. Of course, there was controversy about the numbers, and the idea of typical use is suspect, but all in all, Rule 1174 has had a positive effect on air pollution and produced a safer lighter fluid. The problem, however, runs much deeper than simply air pollution. In a study commissioned by Smarter Starter Fluid, EMSL Analytic, a scientific testing company, found that compounds innate to petroleum based lighter fluids were transferred to foods after only 10 minutes of cooking over a charcoal fire started with lighter fluid. Charcoal lighter fluid has a bigger problem than the pollution it creates or the chemicals it deposits in food. It is consistently listed as one of the most dangerous substances in the average home, and that danger is more than just being a flammable liquid. Petrochemical lighter fluids are distillate solvents that absorb through the body on contact whether it is by touching the liquid or inhaling the evaporative or combusted fumes. These substances are linked to respiratory distress, neurological and kidney damage, as well as dozens of fatal poisonings. Warnings about storage and handling of lighter fluid are downright frightening. Before anyone gets the wrong idea, I am not advocating the end of charcoal. In fact, I am a staunch and ardent supporter of charcoal cooking. I believe that there should be more to outdoor cooking than simply the novelty of cooking out of doors. Charcoal provides authentic flavor and experience from building the fire to the grilling of foods, but two facts must be acknowledged. First, most people are not going to turn away from self-lighting charcoal or charcoal lighter fluids. Second, lighter fluid is the fastest and easiest way to light charcoal and the method most preferred by the average backyard cook. It doesn’t have to be this way, however. There are alternatives. Charcoal lighter fluid and the similar accelerant used in self-lighting charcoal, seen from a functional standpoint, are flammable liquids with certain characteristics of combustion and evaporation. Any liquid with similar characteristics will serve the same function allowing the ease of use that most people want when lighting charcoal. Not only is it possible to produce a biofuel alternative, they already exist and are being sold today. Biofuel lighter fluids are made from a combination of plant oils and alcohol. 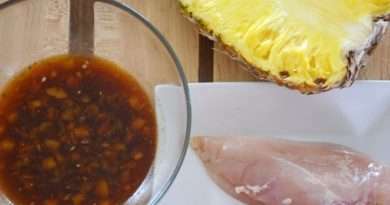 Some use a biodiesel base that is distilled from waste cooking oils while others use low grade cooking oils that don’t pass muster for consumption. 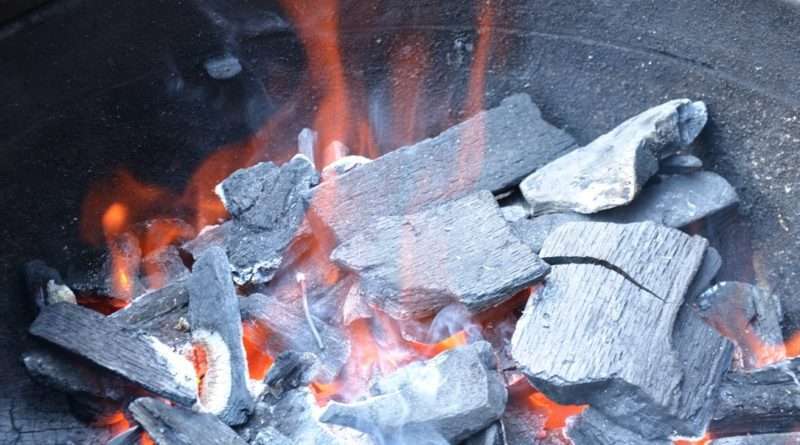 Regardless of the recipe, these alternatives are all natural, impart virtually no flavor to foods cooked over the charcoal they light, produce very few fumes, and are not poisonous if consumed. I personally have tested some of the products on the market and find them effective as a lighter fluid and very clean when burnt. There are also self-lighting charcoals that use paraffin or other natural accelerants to light the charcoal. Natural self-lighting charcoal is still rare, but it has been demonstrated that it is viable. The advantages of biofuel lighter fluids are more than being non-toxic and clean burning. These biodegradable liquids need no special disposal rules, carry instructions that suggest if spilled to be careful of slipping2, and can produce less than half the VOCs of petroleum based equivalents. After more than two decades of attempting to convince backyard cooks to abstain from petroleum based lighter fluids, we must admit that these efforts have failed. Charcoal lighter fluid is simply too convenient and readily available. Converting the supply of lighter fluid from petroleum to plant based products will help to make barbecue, in the broadest definition, a safer, cleaner, and healthier activity and one less likely to fall again into the spotlight of regulators. This switch will help to protect barbecue for future generations.